According to Alaska Multiple Listing Serve (AK MLS), last year was the busiest year that the Seward real estate market has seen for residential and vacant land sales over the past decade. With demand outstripping inventory, Seward experienced a “seller’s market” in 2016. This disparity resulted in many multiple offer situations, and properties selling over their listed price. Review of the 2016 Seward real estate market reveals that sales were up 40% for residential transactions and 66% for vacant land. Looking at a year-to-year comparison, Seward went from having 37 recorded residential sales transactions in 2015, to 52 in 2016. Vacant land sales in 2016 recorded 20 properties as compared to just 12 in 2015. This translates to almost 50 more individual buyers and sellers than the previous year. The persistent high demand and limited supply for residential properties in Seward over the past few years has also steadily affected prices. While the average residential sales price in Seward remained around $250,000, we saw multiple situations in 2016 where the same homes that sold in 2013 or 2014, were selling in 2016 for an average of 10% more. The increase in value in those cases was not driven by substantial improvements to those properties but rather by a lack of inventory. Though the average residential sales price in Seward remained stable, homes in 2016 sold for a much higher percentage of their listed value. On average, since 2014, Seward homes have sold for 96.5% of their listed value. However, in 2016 we saw some properties selling for up to 10% above their listed price. In fact, statistics from 2016 show that the average sale prices recorded in August and September (went into contract ~60 days prior) sold for 100% and 100.5% of their listed price. From a Realtor’s perspective, it was a challenging yet successful year. While sellers felt the joy of bringing in more net income than they anticipated, 2016 was tough for buyers because of the pace of the seller’s market. Houses sold in record time and multiple offer situations were especially commonplace in residential sales under $200,000. Most buyers in that price range are first-time home buyers, and having to enter into a seller’s market as a first-time home buyer can be a trial both emotionally and financially. In a seller’s market, buyers have very little leverage when putting in an offer. Buyers assume that there is some room to negotiate on price or repairs, but as soon as there is more than one offer on a property, most of a buyer’s leverage disappears. With sellers having the opportunity to consider multiple offers, it was a competitive year for people looking to buy in the 2016 Seward real estate market. Though lack of inventory is challenging for buyers looking for a new home, it also resulted in a number of people purchasing vacant land in order to build their ideal homes, offices and investment properties. In 2016 we saw many new properties being built or renovated to current building codes – especially in the downtown area. The commitment to build in Seward, and especially to hire local contractors, is an encouraging development. Local building contracts support our City and Borough with additional property taxes; they also support our local contractors and construction suppliers, and overall contribute to the positive economic growth of Seward. Additionally, the Seward real estate market went from having 49 recorded home and land sales in 2015, to 72 in 2016, an increase of 45% in one year. This is a substantial increase for such a limited market. A depth of buyers in our City is reflective of a strong local economy made up of qualified buyers who have steady jobs and choose to plant roots in our community. While other areas of real estate in Alaska were negatively impacted by the uncertainty of the oil and gas sector and overall Alaska economy, Seward real estate did not experience the same pattern. In fact, the value of real estate in Seward has seen a continuous positive trend. Buyers that went into contract in 2016 also had some favorable circumstances. With interest rates maintaining historic lows, buyers took advantage of rates that remained steady at ~3.5%. While last year’s buyers may have paid a little more than they wanted for their homes, they were still able to “afford more”. To explain it simply, a 1% raise in interest rates affects your monthly mortgage payments the same as if you paid 10% more for that house. Everyone wants a deal on sales price, but buyers don’t always realize what a significant difference interest rates make on their monthly mortgage payments as well. Considering that rates have been as high as 6.5% in the past decade, and are on the rise again, it appears that buyers in 2016 had the bonus of buying at the right time. As with the beginning of every year, we never know how the approaching year of real estate sales will play out. With rising interest rates and a general feeling of uncertainty regarding the state and federal economy, we have already begun to hear our clients voice concerns over the future value of real estate in Seward in 2017. While this general attitude towards caution may eventually impact sellers with longer days on market and less likelihood of multiple offers, it could also positively impact buyers by evening out the real estate market and reinstating a bit of leverage to buyers. 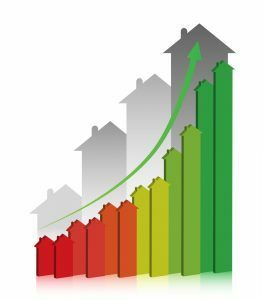 Though there tends to be tentativeness with beginning of each new year, the Seward real estate market in 2016 was one of it strongest years in history, and I expect that the 2017 market will stay on a similar track.